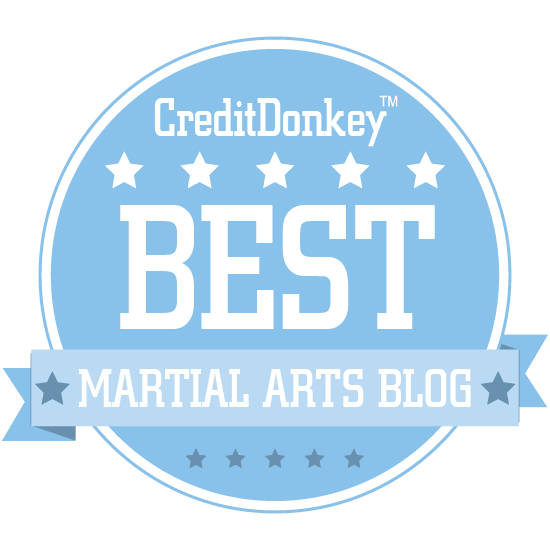 Recent discussions with martial arts colleagues on the Traditional Fighting Arts Forum have made me aware of the need to enunciate the difference between using "rise" or "fall" in your martial techniques and the "sine wave" theory of ITF taekwondo. 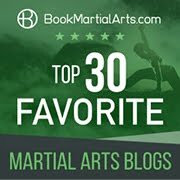 "Rising and falling" in martial arts techniques not only makes sense, but it is necessarily built into most human movement. The problem arises when one attempts to become dogmatic about using a rise or fall. Rising and falling should occur naturally; movements should not be forced into a "rise/fall" mould. And as with "koshi" (using the hips to add force), while rising or falling can be used to add force to a blow, one should not focus too strongly on this aspect. There are multiple ways of generating greater force, and all of them are both valid and necessary. Not one of them is, of itself, some kind of panacea. And all of them must be applied in the course of natural, contextually appropriate movement. A video showing hip use: but note also the "rise" and "fall" of the body at around 0:59 onwards. You'll see the isolated horizontal rotation of the hips at about 0:13 (isolated for training purposes only). Then you'll see the "vertical" rotation of the hips at about 0:20 (although it is both horizontal and vertical to some extent). Then at about 0:55 you'll see what I call "contextual" hip movement (some movements taken from taijiquan) which also involve a natural rising and falling of the body. Particularly at around 0:59 and 1:42 you'll note that my body does "rise" and "fall" depending on my hip loading/unloading. However this movement is intimately connected with the hip rotation and the technique generally. In short, divorcing either "rise and fall" or "koshi" from this context would be in error, as you would simply be taking out one aspect of a multi-faceted movement. And divorced from its context this one facet is as useless as a car without wheels. 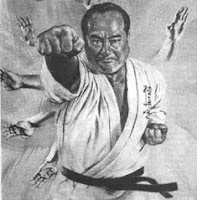 While I feel there is some merit to the theory that "rise and fall" can be used to add force, I don't feel there is any merit whatsoever in "sine wave theory" as proposed by General Choi, the "father" of taekwondo. General Choi noted (correctly) that when you step, your body follows a natural "rise and fall" motion that is akin to a sine wave. While this is true, this sine wave is exhibited only when one has reached a "cruising speed" while walking. As I have discussed previously, it does not pertain to the "set off" (your initial lunge that starts you walking). And I believe that in fighting it is this "set off" that is primarily in issue. In other words, yes the "sine wave" is something you see in person's walking gait. But it is my view that the walking gait has little or nothing to do with fighting. When you are fighting, you are lunging and moving one metre (3 feet) or so at most. If you are further away than that, then you are out of range; you are not "fighting" (ie. avoiding or landing a blow) but "closing the gap". If you want to step in to your opponent with a classical/basic "step and punch" then you might discern some "sine wave" - but you'd probably have your head knocked off if you did this kind of step anyway. This kind of stepping is used in karate/tkd for basic training. In arts like shotokan, a lot of emphasis is placed on NOT rising and falling during basic stepping. Why? Because when you are moving less than a metre there is a premium on getting to your target via the shortest route possible. Training to step without a rise and fall is part of learning how to move in the most direct fashion possible. You do a full step because it is harder than a half step; and the longer/lower your stance, the better the training for your muscles. 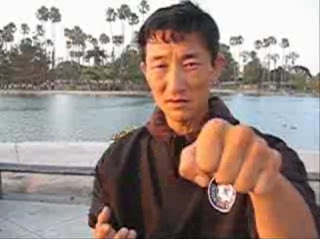 This type of low stance training is common to practically every traditional martial art; and for a very good reason. It works. 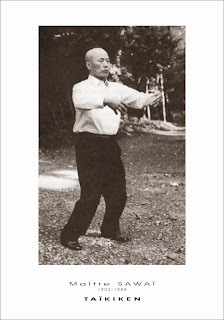 In baguazhang, for example, a great deal of time is spent "walking the circle" with low, even-height steps. This doesn't negate the value of "rise and fall" - bagua breaks the walking to introduce low and high postures. But the central role of the stepping in conditioning your muscles for fast, direct "lunging" movement remains the same. 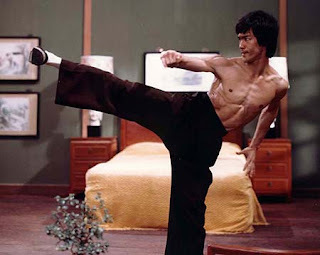 Note the low, even-height stepping of bagua on one hand, yet the low and high postures on the other - eg. at 1:34. I think General Choi noticed how many students find it hard to "stay low/even-heighted" in stepping practice. Rather than see this as a function of the lack of necessary conditioning, he developed a theory that sought to by-pass the need for such conditioning. If you try to maximise power via the "rise and fall" of your natural walking gait, you are assuming that "how you walk is how you fight". 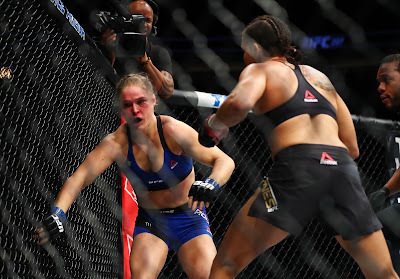 I've never seen any evidence of this in any fight I've seen - in either a civilian or sports context. Second, in your attempt to add power through a walking "sine wave" motion, you are using up valuable time. That extra millisecond in going up and down makes the difference between whether your strike lands first or whether you get "beaten to the punch". The assumption that "maxising power" trumps the need to avoid being hit contradicts every sound civilian, sports and military fighting tactic. In short, there is merit in using rise and fall. This is evident in practically every form/pattern/kata/xing as well as in any free fighting. However this is not "sine wave". The sine wave theory of General Choi is, in my view, fundamentally misconceived. Are you still on this topic? As is my opinion, you are correct about the various ways in which to generate power. My grouse is with the picture you've used. 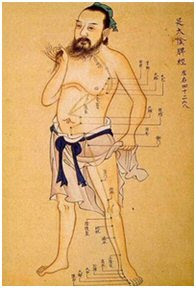 It shows the practitioner going down and then up and down. IMO, the graphical line is flawed. The person in that picture, as do most TKD practitioners I've seen, has not dropped his height. Typically TKD practitioners increase their height mid-way through the step before dropping downwards - negating the forward lunging force of the legs. Yes - still arguing the same old story! "The person in that picture, as do most TKD practitioners I've seen, has not dropped his height. Typically TKD practitioners increase their height mid-way through the step before dropping downwards - negating the forward lunging force of the legs." That picture is indeed a little misleading - but it is taken from General Choi's book! That you are! My metre rule is only approximate. Leg techniques and techniques that involve a jumping or deep lunging might be longer; my point was that it does not involve the kind of distance where one has to resort to "walking". If you're a couple of steps away and you can get to me in a single lunge, then you'll be even more of a legend! As instructors (and fathers) it's our prerogative to nag! The General's book was done some time ago. There are those 'fundamentalists' that have taken the liberty of modifying the sine wave further than what I think he intended. This is where the additional step up has been emphasized ... and where you see a lot of bopping going in an TKD videos on youtube. If his sine wave was dictated by that same graphed line, I don't think we'd be having the same discussion. 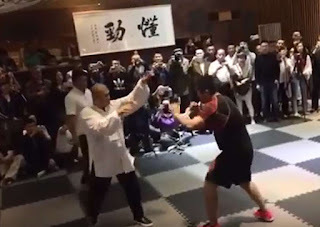 Certainly I've used the initial part of that move many times before in the past - lunging forward requires a drop in the legs, and striking the opponent may be done in a stance that is a little higher. I realise this is an old post, but sure 'll stickmy oar in anyway. The picture is not misleading, the practitioners that "increase their height mid-way through the step before dropping downwards - negating the forward lunging force of the legs." are very common and very incorrect. I should know, I've gone through about five variations of the motion (including the up-in the-middle version) since it was first introduced to my club. I think it is unlikely that Choi invented this to make anything easier on the students, by all accounts he was a dictatorial, military and old-school military man and not accustomed to making life easier for himself or others. The rise and fall over the movement should be within two inches or so, and at the highest point the knees should still be bent, i.e you should still be "low". Yes the importance of the wave has been exaggerated, and a lot of the blame for that lies at Choi's door, but it's starting to settle now, the ludicrous exaggerated drop that gained popularity over the last ten ears at the start of the movement is becoming rarer. Give us another ten years and you might see a movement that makes a little more sense to you. I'm not promising anything mind. 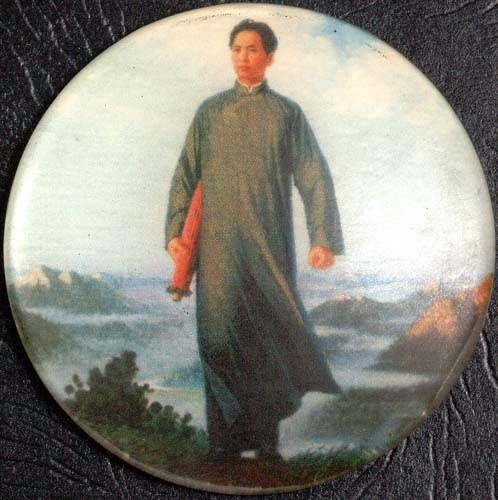 I understand natural rise and fall - but I really doubt it can serve as any kind of platform for building a martial theory - particularly one that purports to relate to "power" generation. About all one can say is that natural movement inevitably has rises and falls. All this means is that humans (like all animals) do not move around on a horizontal plane like hovercraft. While some sort of "wave pattern" might be discernible in a continuous gait, in the heat of combat there is no discernible "pattern" (sine wave or otherwise) to human movement. Accordingly the "sine wave" Choi saw is really about as illusory as the "canali" Lovell thought he saw on Mars. I'm fairly confident that in a couple of decades this blind alley will have faded away completely.